League of Legends patch 8.13 has just arrived on the PBE. 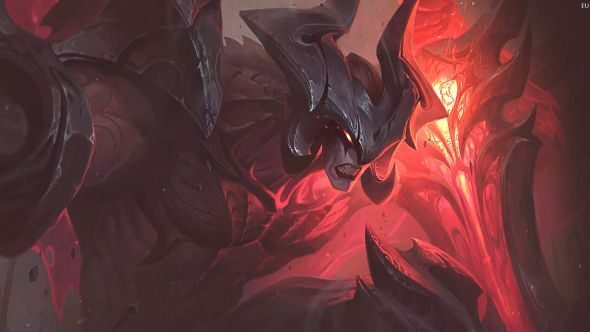 The headline this time around is, quite clearly, the Aatrox rework. Since his arrival back in 2013, the Darkin Blade has been largely untouched, and that inaction hasn’t left him in a good state. His rework has been on the cards for a while now, with Riot definitely upping his ferocity, if taking away some of his more unique pre-rework features. Elsewhere in the patch, there are small changes to Kindred, Pyke, Singed, and Xayah. 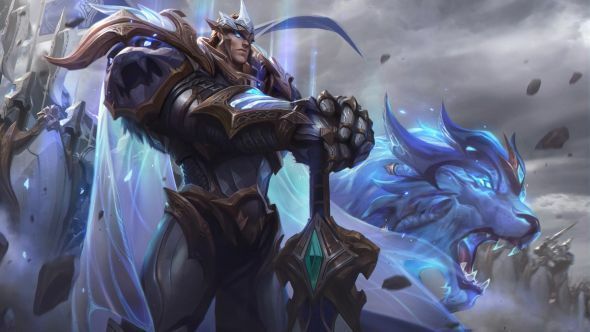 On top of that, there are two excellent new skins – God King Garen and God King Darius are new legendary skins for Demacia and Noxus’ greatest warriors. Which is the best MOBA? If you’ll briefly cast your minds back to League of Legends patch 8.12, you’ll remember information about new fighter items – Atma’s Reckoning and Spear of Shojin, as well as changes to Titanic and Ravenous Hydras. Those changes have been pulled so as not to interfere too strongly around mid-season. Expect to see them back at some point, but for a few patches yet. We don’t know the exact release date for patch 8.13 yet, but the schedule is bi-weekly so expect it on Wednesday June 27. We’ll update when Riot does, but keep an eye on the server maintenance page for the latest updates. That out of the way, let’s start with the really important bit, shall we? What you need to remember is that stuff on the PBE like this is neither guaranteed to happen, nor to be in the next patch even if it does. This is what the folks over at Riot are thinking about doing. We’ve got the numbers on what’s changing, and a general guideline on which way each champion, item, mastery, summoner spell, or rune is moving. 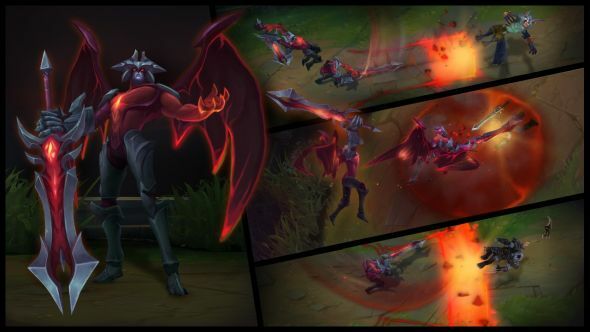 Aatrox, the Darkin Blade, get his long-awaited rework in patch 8.13, with a slightly updated chracter model, new VO, and of course, brand-new skins. His ferocity, healing, and ressurection all remain (in somewhat muted forms) but there’s now some Riven and Sion DNA in there, too. “Aatrox’s next basic attack gains 50 extra range and deals [8 – 16%] of the target’s Max Health as physical damage (max: 400 against monsters), and inflicts Mutilator for 3 seconds. 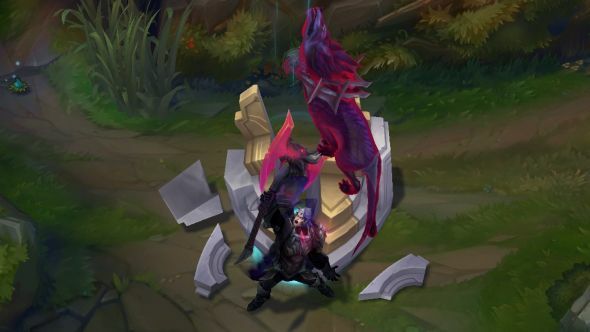 Cooldown is reduced by 2 seconds when Aatrox casts a spell or hits a champion with the Blade of The Darkin Sword. “Aatrox slams his greatsword down, dealing 15/30/45/60/75 (+64/68/72/76/80% total AD) physical damage. 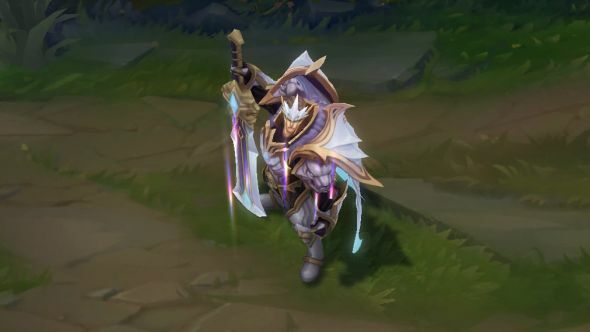 The Darkin Sword may be re-cast 2 additional times, each one increasing in damage. Each strike can hit with the Blade, briefly knocking enemies up and dealing more damage. Deals [55 – 100% based on level] damage to minions. Each Q that hits with the blade end (visible on indicator) deals 50% more damage than usual. “Aatrox smashes the ground, dealing 30/40/50/60/70 (+40% Total AD) physical damage to the first enemy hit and slowing by 15/20/25/30/35% for 1.5s. “Passive: Aatrox heals for 15/16.25/17.5/18.75/20% of physical damage he deals. Active: Aatrox lunges, briefly gaining Attack Damage. 2 charges. Increased movement speed for the first 1 second, and when not in combat with champions or turrets. Damage decreased to 60/95/130/165/200 from 75/120/175/210/255. Max bonus AD decreased to 60/90/120/150/180 seconds from 60/100/140/180/220. Minimum bonus AD decreased to 30/45/60/75/90 from 30/50/70/90/110. Removed: W passive marking targets for 6 seconds. Removed: W active dealing triple damage when hitting a mark-primed target. Cooldown reduction when killing any unit with W active removed. Mana refund amount reduced to 10/14/18/22/26 from 20/28/36/42/50 (applied to both casts individually). Cooldown decreased to 5 seconds at all ranks from 8/7/6/5/4 seconds. On-hit base damage (max stacks) decreased to 4-48 from 10-66. On-hit ratio (max stacks) changed to 16% bonus AD from 8-16% bonus AD. Attack speed (max stacks) increased to 30-50% from 20-40%. Damage (minimum) changed to [10/25/40/55/70 (+50% AD)(+40% AP)] from[10/30/50/70/90 (+60% AD) (+40% AP)]. Damage (maximum) changed to[20/50/80/110/140 (+100 AD)(80% AP)] from[20/60/100/140/180 (+120% AD) (+80%AP)]. Mark duration decreased to 5 seconds from 6 seconds. Cooldown decreased to 11 seconds at all ranks from 13/12.5/12/11.5/11 seconds. AD ratio increased to 160% from 140%. Active AP increased to 80% from 70%. Now has an ‘invisible’ mana cost (so can be used to stack Tear). AP increased to 80% from 70%. AP increased to 40% from 30%. Wolf’s Frenzy no longer reduces monster attack speed by 50%. AD per level decreased to 2.75 from 3.11. Minion damage decreased to 200% from 400%. No longer deals bonus damage to minions. Now adds 5% per 100 AP to Nunu’s current Ability Power. Now adds 5% per 100 AP to Nunu’s current Attack Speed. AP decreased to 20% from 40%. Attack speed decreased to 20/34/28/32/36% from 25/30/35/40/45%. Cooldown decreased to 7 seconds at all ranks from 9 seconds at all ranks. Base HP regen decreased to 1.4 from 1.8. HP per level decreased to 100 from 110. MR per level increased to 2 from 1.25. Armor per level increased to 5 from 4. Bonus AD ratio increased to 110% from 80%. Bonus AD ratio increased to 80% from 60%. Execute threshold changed to 200-605 based on level from 160-655 based on level. HP regen increased to 1.4 from 1.1. Extra AD increased to 20/25/30% from 20% at all ranks. Target’s max health as damage decreased to 3/4/5/6/7% from 6/6.5/7/7.5/8%. Stats changed to 30/60/90 from 35/55/80. Bonus armor increased to 50% from 30%. Damage decreased to 90/130/170/210/250 from 105/140/195/240/285. Cooldown increased to 180/150/120 seconds from 160/130/100. AD ratio increased to 50/70/90/110/130% AP from 50/60/70/80/90% AP. Cooldown decreased to 13/11.5/10/8.5/7 seconds from 13/12/11/10/9 seconds. AD ratio increased to 35% from 25%. Max damage AP decreased to 80% from 100%. Movement speed duration decreased to 2/2.25/2.5/2.75/3 seconds from 2/2.5/3/3.5/4 seconds. AP decreased to 65% from 75%. Essence Flare duration decreased to 6 seconds from 8 seconds. Attack speed increased to 50% from 30%. Bonus AD decreased to 2.5% from 4%. AP decreased to 2.5% from 4%. Cost decreased to 3600 from 3700 (combine cost decreased to 1000 from 1100). Ornn Masterwork cost decreased to 4600 from 4700. AD increased to 75 from 70. Movespeed changed to 20% movespeed for 0.75 seconds from 10% movespeed for 1.75 seconds. Time between attacks to keep effect going increased to 2 seconds from 1.5 seconds. Cooldown decreased to 4 seconds out of combat from 5 seconds out of combat. Swap cooldown reduction increased to 20 seconds from 15 seconds. Each patch has its own login screen with unique music. They’re always fairly excellent, though 8.13’s hasn’t appeared yet – expect it in the next week or so. 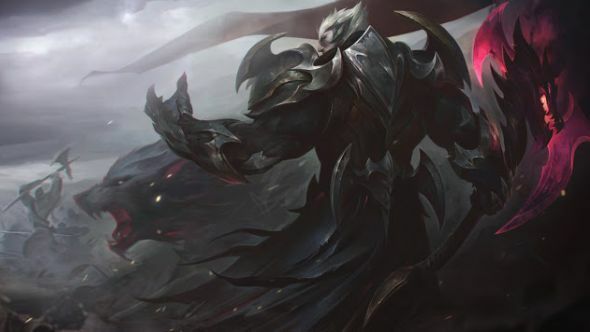 It will likely be based around Aatrox or the new God King skins. That’s all the major changes in League of Legends patch 8.13 covered, but we’ll see you again for patch 8.14 in a few weeks – expect some major changes as we head towards League of Legends’ major mid-season update, which will likely show up in the near future.